St. Mary Catholic Preschool sees each child as a unique and valuable part of the program. The preschool allows for flexibility within structure and balances familiarity with new learning opportunities. We use the Archdiocese of Denver Preschool Curriculum Guidelines, Colorado Early Learning & Development Guidelines, and The Creative Curriculum to plan our school year and create lesson plans that are reflective of our students’ needs. Our curriculum goals have been established to best prepare children for success with their future academics and everyday lives. The underlying instructional strategy is the use of developmentally appropriate teacher-directed and child-initiated activities including group instruction, one-on-one learning, and hands-on experiences. Our highly trained teachers create a welcoming environment in which children have the opportunity to explore center areas such as creative arts, blocks and manipulatives, science, literacy, dramatic play and music. All of this takes place in a nurturing, joyful, kind, safe, and Christ-centered environment. Our three-year old program is a social and sensory experience. The classroom is filled with exploratory activities that allow the children to express themselves in a creative way. The children are learning how to get along in a shared social setting and respecting the people and objects around them. Emphasis is also placed on building fine and gross motor skills and introducing basic academic concepts such as letters, numbers, colors and shapes. The children follow a regular schedule that includes circle time, free choice, music, and recess. The four-year-old program focuses on kindergarten readiness through experiential learning and authentic play environments that allow them to explore the classroom centers and express their uniqueness and creativity. Individual learning plans assist the teachers in assuring that the whole child is ready for life-long learning and navigating all types of social situations with a faith-centered heart. 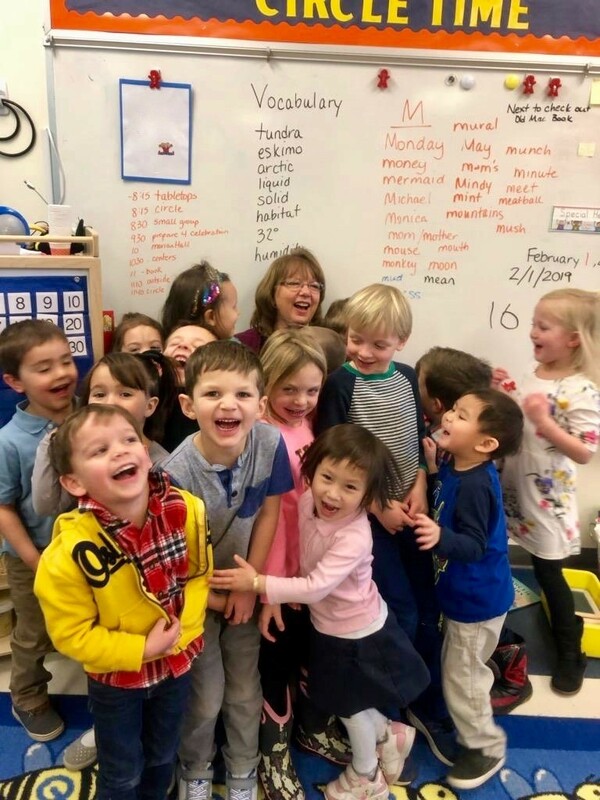 The students take part in hands-on literacy, math and science explorations, as well as the development of music, art, gross motor and social/emotional skills.